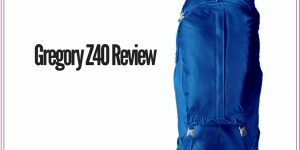 High Sierra Swerve Backpack Review – Worth a Buy? 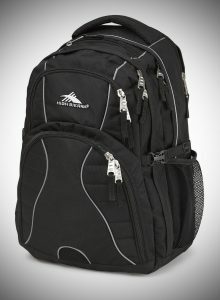 Here today is my High Sierra Swerve Backpack Review. 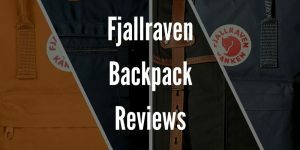 The reason I have chosen to review this backpack is a lot of my readers are interested if this backpack is right for them and if it lives up to the hype that it seems to have. So firstly, let me start of by talking about this backpacks form factor. This is no small backpack but it isn’t massively large either. If I was to describe it, I would say it’s larger than your average backpack but not by a big margin. 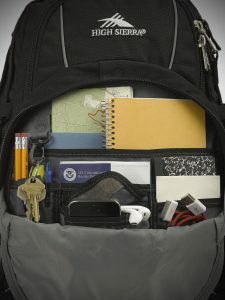 This backpack is an ideal size for everyday use for people who need to pack a decent number of things with them. It is especially a great candidate for someone who want to carry their laptop with them as it has a padded compartment which is ideal for something like a laptops form factor, along with being able to keep it secure thanks to the nice cushion layer that surrounds it. If you feel this is a little too large for you I would recommend checking out my High Sierra Loop Backpack Review, it’s a bit smaller and more compact but offers most of the features and quality of this its bigger daddy essentially. 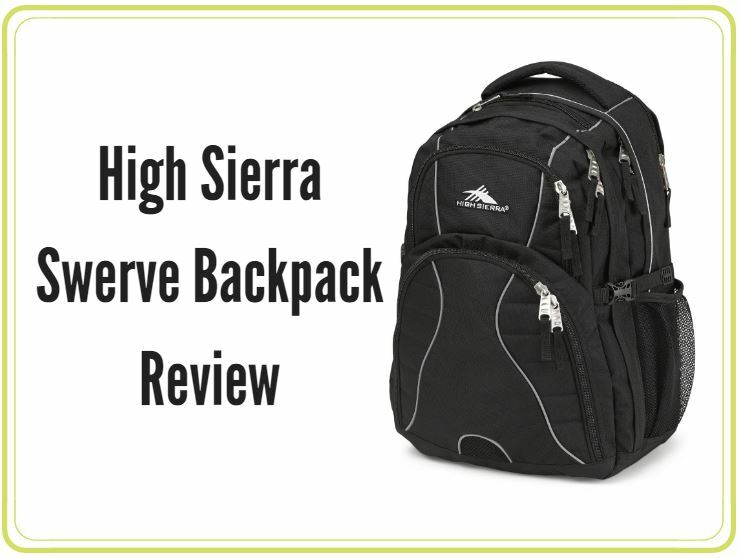 Let’s talk about the design of this High Sierra Swerve backpack. I like the design its simple and more importantly offers lots of different sections and compartments into a relatively small space which is excellent. The main material is a mixture of fabric and nylon along with duralite. It turns out to be a great combination, the fabrics and nylon are typical along with the duralite which makes the material very strong and durable. This allows this backpack to take some serious punishment all while not becoming damaged or worn. It’s also surprisingly light overall, I have used many other backpacks with about the same weight but they have a smaller form factor about 60% of this one, and their weight feels identical. This is an excellent thing to note especially when you are the type of person who has to load your backpack full of gear, then the actual weight of the backpack will add little more weight which keeps the overall carrying weight quite light. 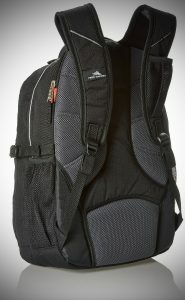 The back of this backpack is padded which greatly helps with comfort and has a mesh material as part of it. If you are going to be carrying your backpack for extended periods of time you will really appreciate this mesh material as it will help you from getting hot and sweating because of how it helps the airflow. It’s especially useful if you are on a trekking or backpacking trip. One final thing to mention about this backpacks design is there are a lot of different color schemes and patterns available, there are over 30 available on Amazon alone, anything from your standard black to hot pink, you are sure to find something that suits your style. 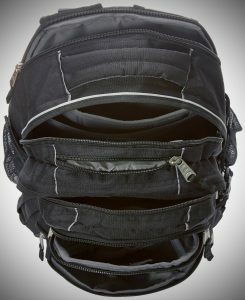 This backpack has so many compartments and different sections. The main thing with each of these sections is they have been designed with something practical in mind such as the padded section for the laptop which can fit any laptop up to 17 inches, or the tablet section which makes for a nice safe area to store your tablet. Though don’t feel these sections are limited to them options because realistically then can store a massive variety of almost anything. I in fact used this backpack for a short camping trip and I could pack my small tent inside along with my other camping gear. There is a small zipped compartment on the inside where you can easily store small things like your wallet or keys for example. This is a nice touch as I often have to dig under all my other stuff to find the small things that have fallen to the bottom of the backpack, this will not happen with this backpack. Something that I thought wasn’t that useful that I ended up using is this pocket that is built into this strap. I personally used it to keep my iPhone when trekking for some time. Instead of carrying it on my person instead. Also, there is adjustable straps on the bottom side of the backpack which you could use to store clothes for example, it is a typical area where a backpacker would keep their sleeping bag stored and it gives them more effective storage space. I know a lot of people will be interested in this backpack for school/college use so I put some stuff inside to give you an idea for space. It could fit 5 binders, 3 average sized text books and 5 folders and there was room to spare inside. One of my favorite things about this backpack and the reason this High Sierra Swerve is so popular is because of its versatility. You can use it on a plethora of situations for example, I have used it on short camping trips or trekking trips, going to the gym to carry my clothes and shoes or going to school or work. It doesn’t feel out of place or too bulky for any occasion and it provides a monstrous amount of space inside for carrying EVERYTHING you need. One final thing I want to talk about with this backpack is the carrying comfort. As I mentioned the back section is well padded along with the shoulder straps too. There is also what High Sierra call a suspension system. This is only available in their higher end backpacks like this one and to be honest I do notice a difference from the models that don’t have that feature. Basically, you are going to find value with it if you are going to be carrying a heavy amount for an extended period, for a lighter amount you shouldn’t notice much difference but then again, the strain on your shoulders and back will be low because of the solid build quality and nice padding. I always like to talk about negatives with everything I review but I can’t really see many here. Its more about personal preference in this case. 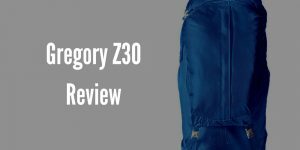 If you think you like some of the features of this backpack but it’s too bulky for you or you don’t need the laptop section check out my High Sierra Loop Backpack Review or if you need a rain cover included for extreme weather check out the High Sierra Access. Otherwise I can’t fault this backpack, it offers everything you need and would want from a backpack all at a very reasonable price point!